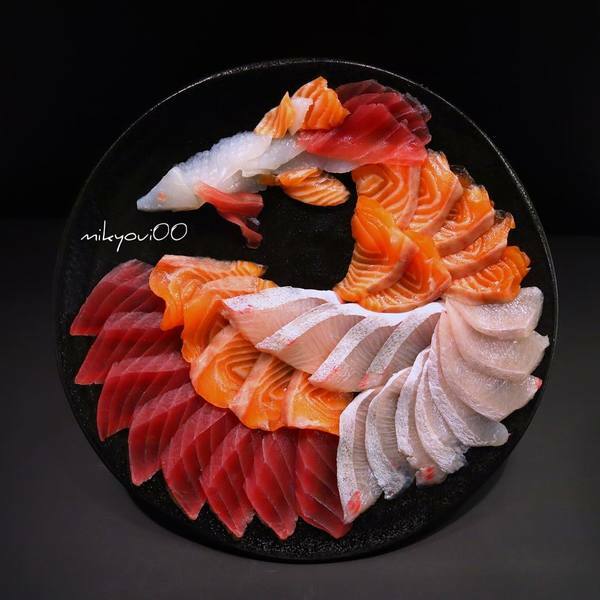 These plates of sashimi are simply too pretty to eat! 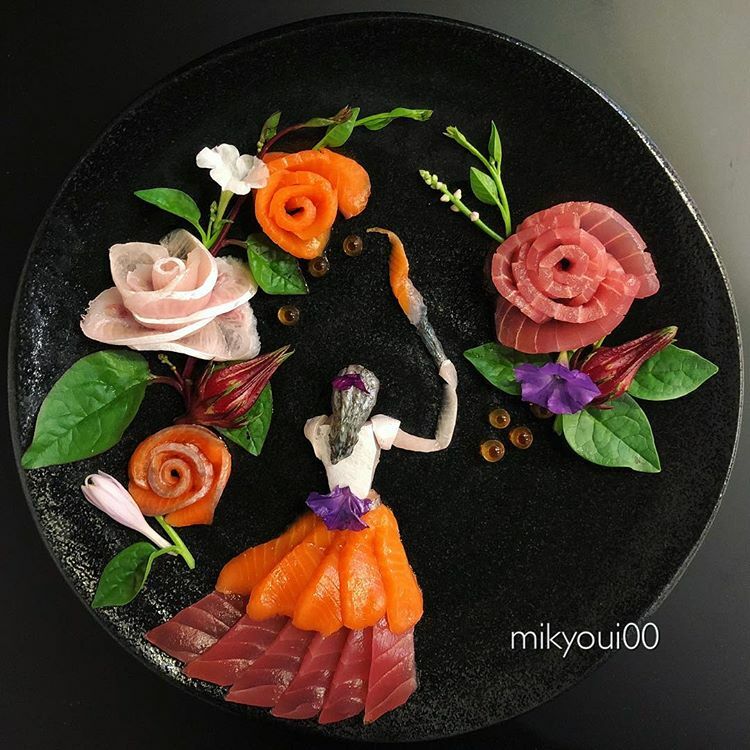 Even more impressive is the fact that he does not have a job in the culinary nor design industry! 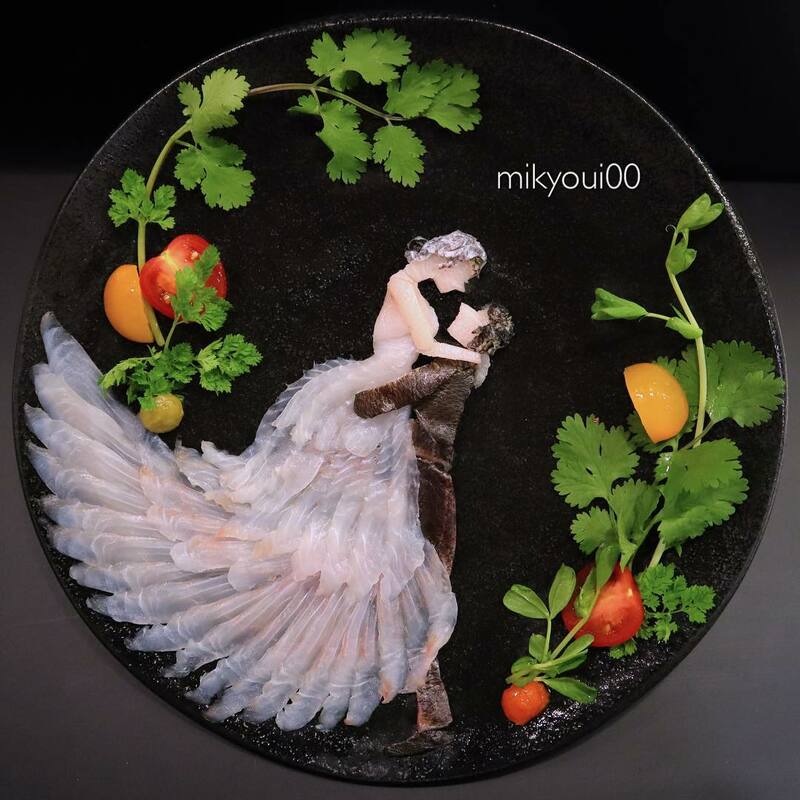 In an interview, mikyoui00 said he is simply a home cook who wanted to instil his love for food preparation and plating in his son. 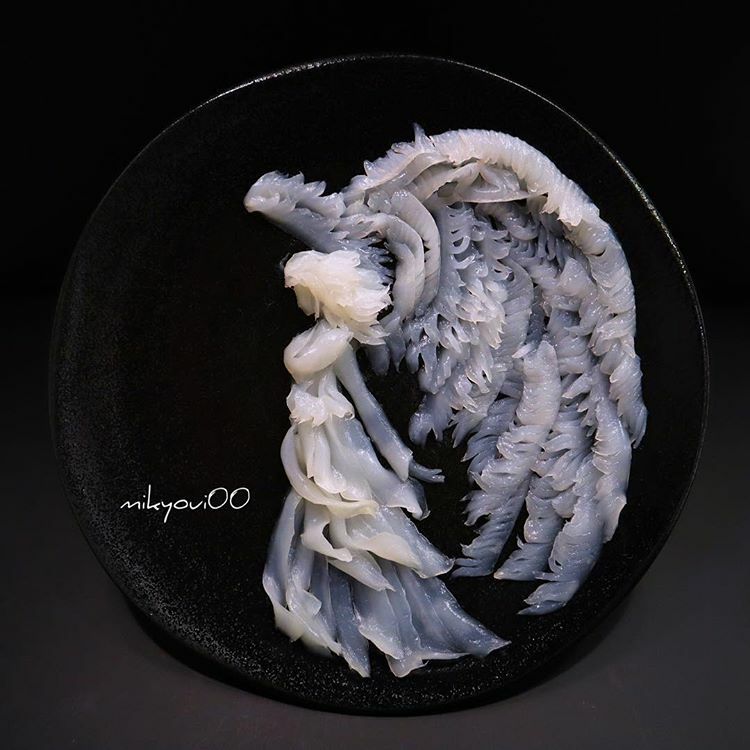 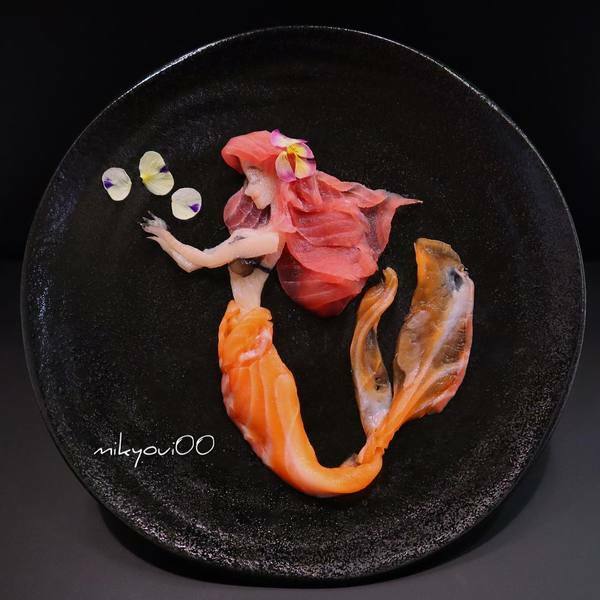 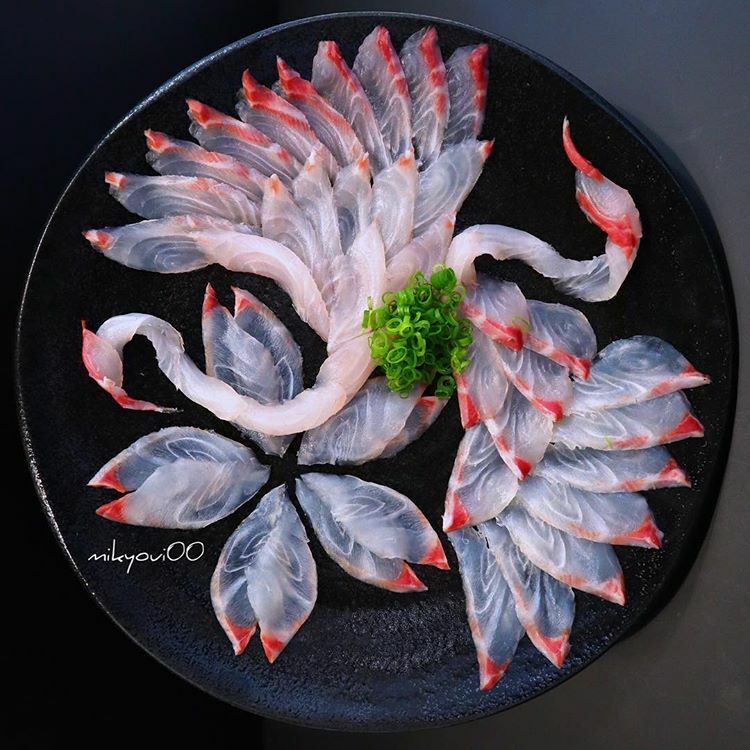 According to Nippon.com, the self-proclaimed "amateur" discovered his talent for creating intricate edible art when he was looking for an out-of-the-box way to teach his son how to slice and prepare sashimi. 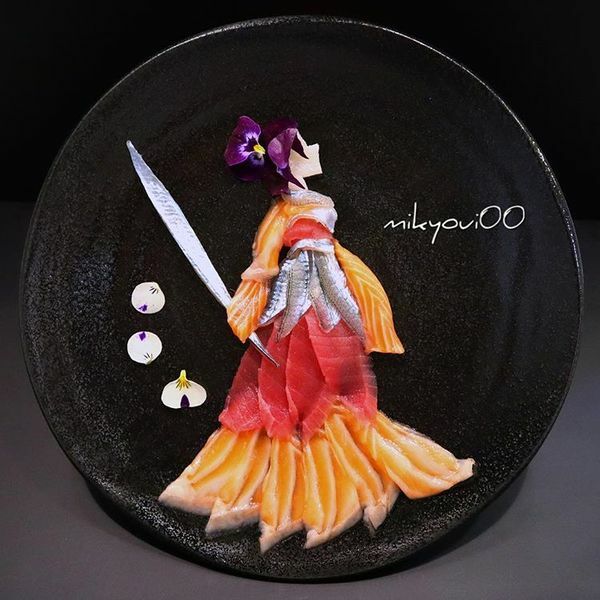 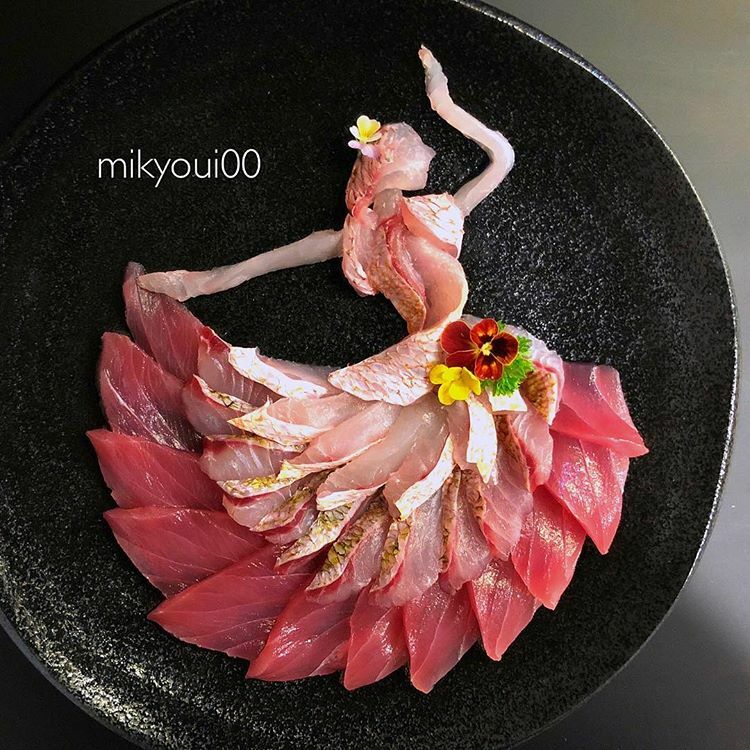 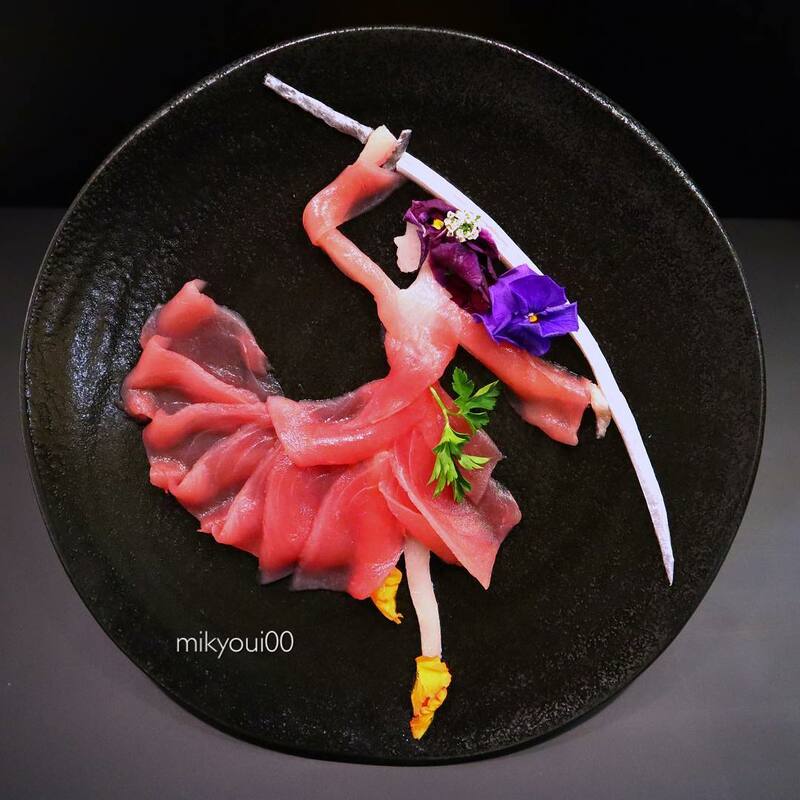 mikyoui00's sashimi slicing skills are entirely self-taught. Most of his techniques are learned by watching YouTube videos, and he would also challenge himself to recreate some professional chefs' dishes. 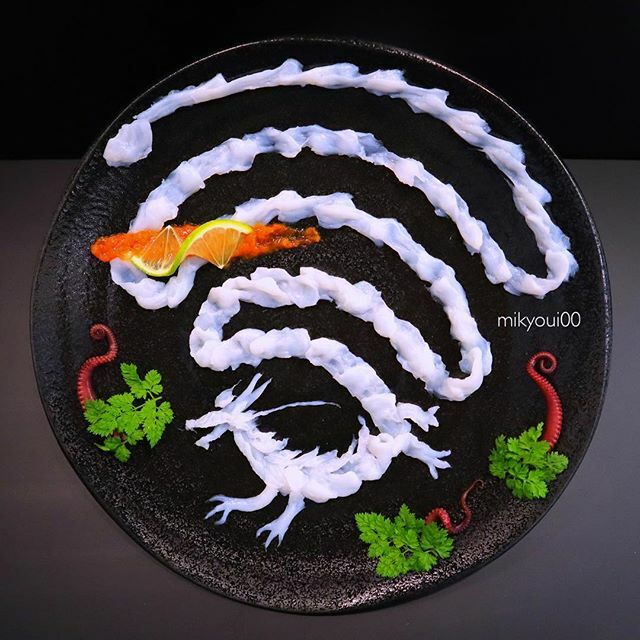 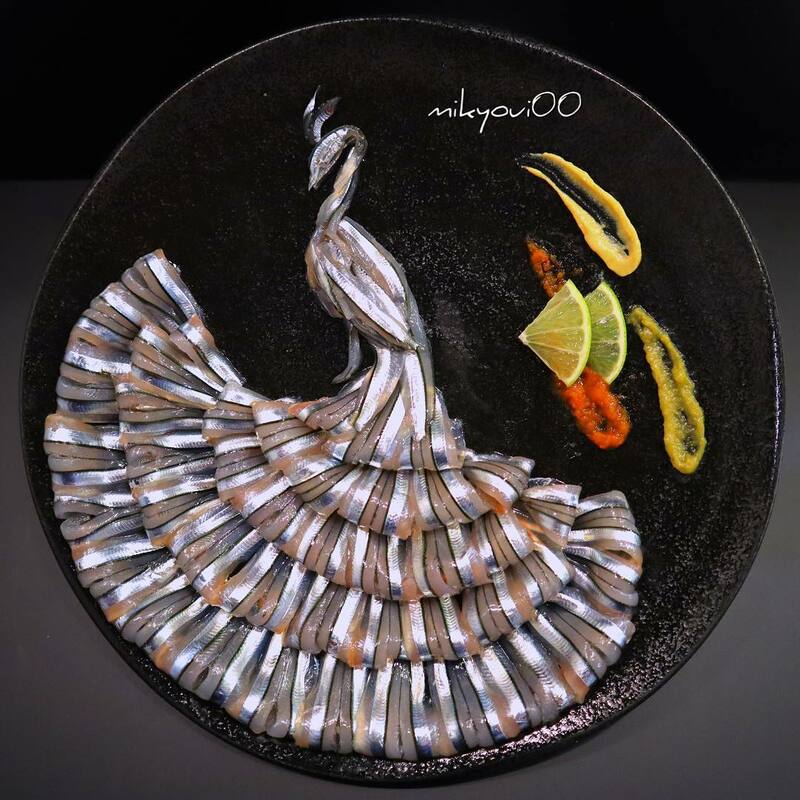 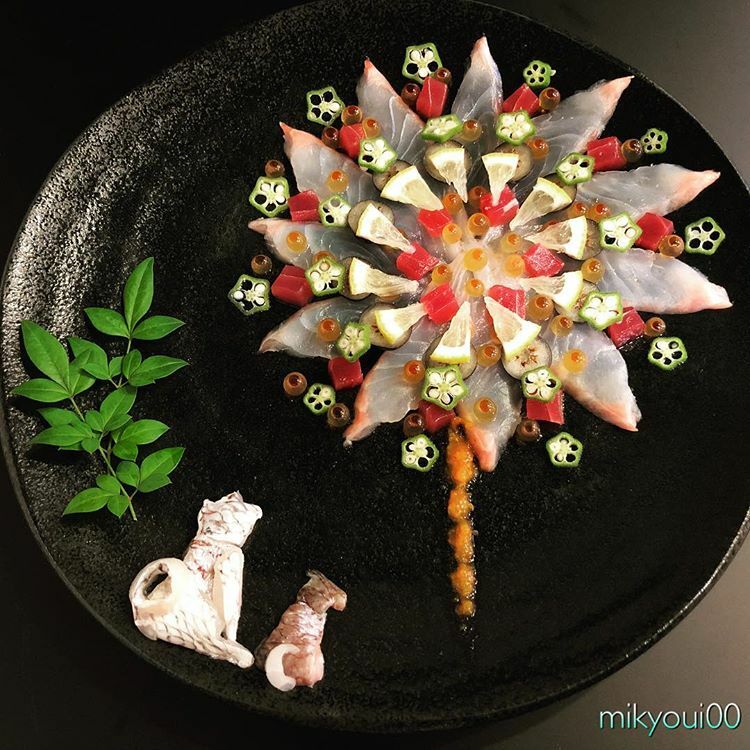 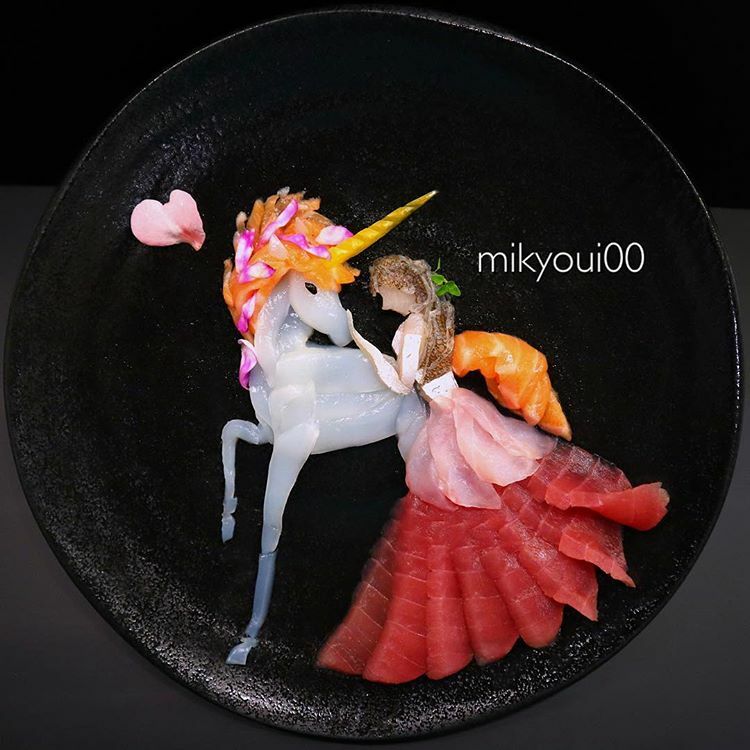 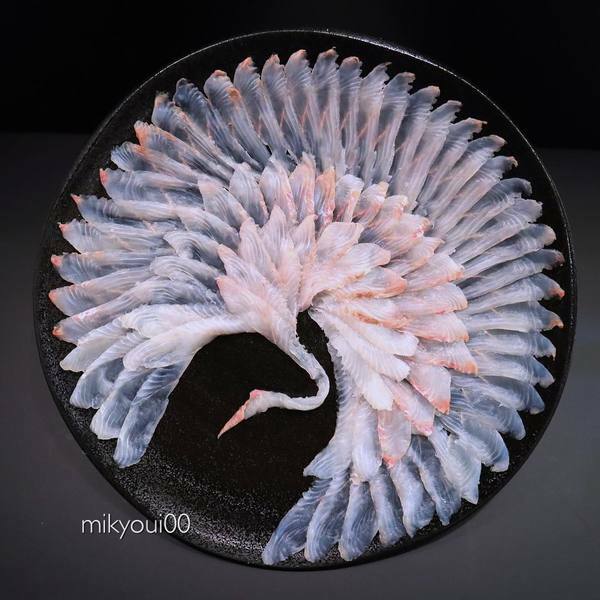 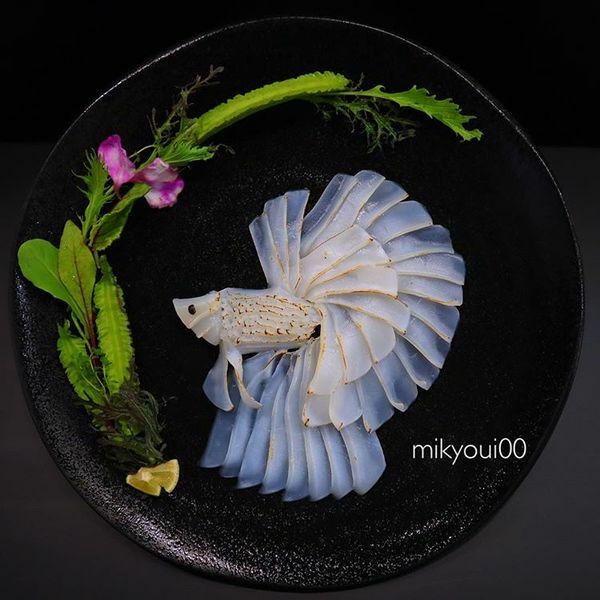 As his skills developed, mikyoui00 began experimenting with different kinds of fish and other edible ingredients. 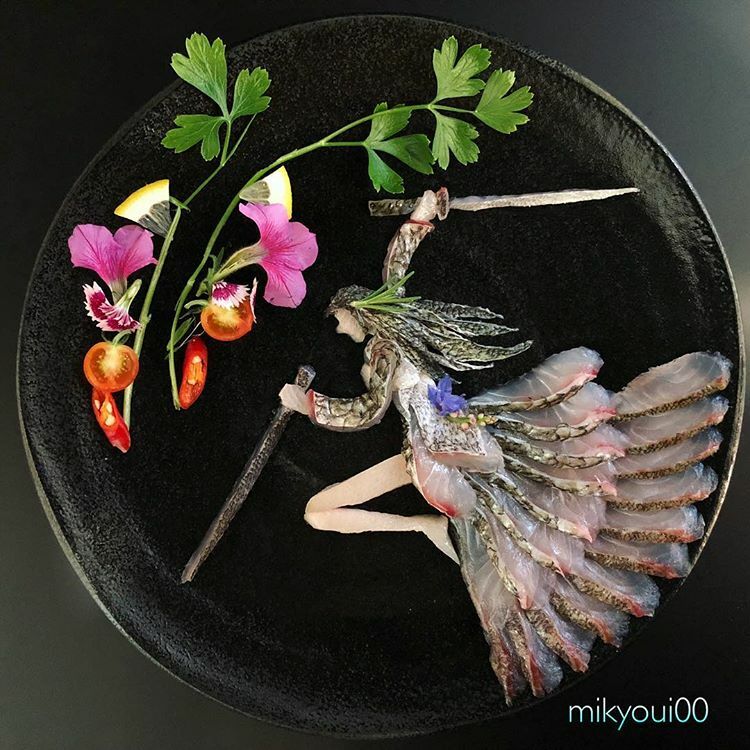 If you scroll through his Instagram feed from the very beginning, you'd also notice the increasing complexity of his creations through time. 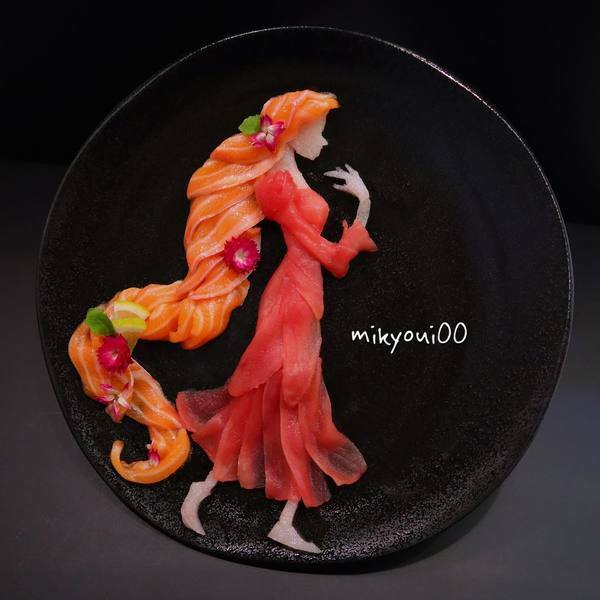 You might have noticed that most of his creations feature women. 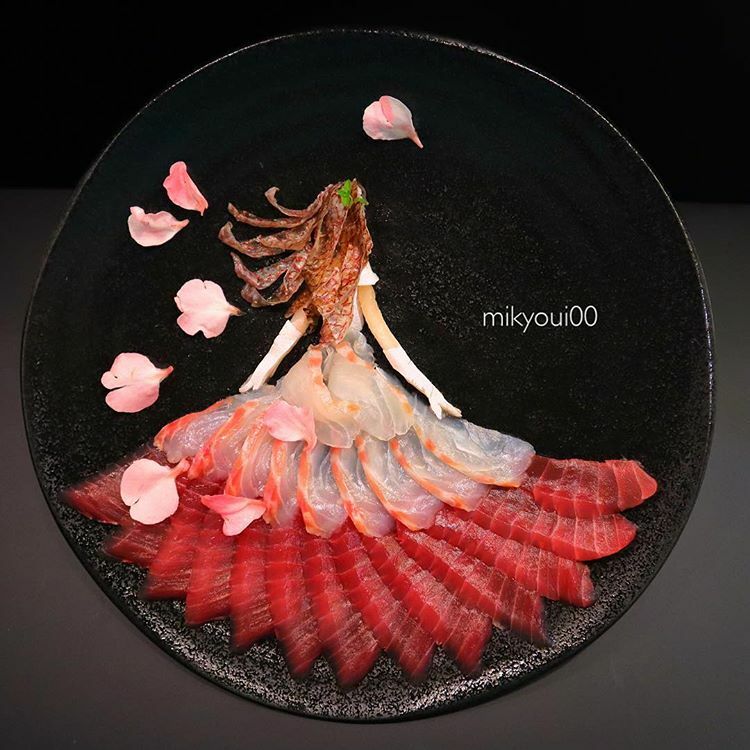 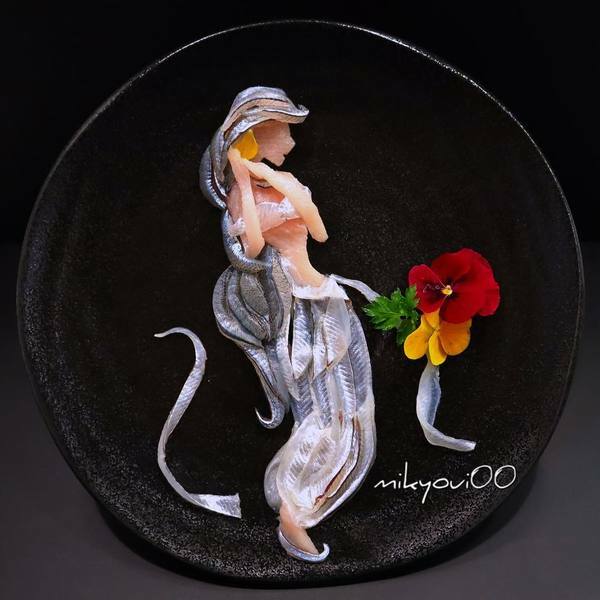 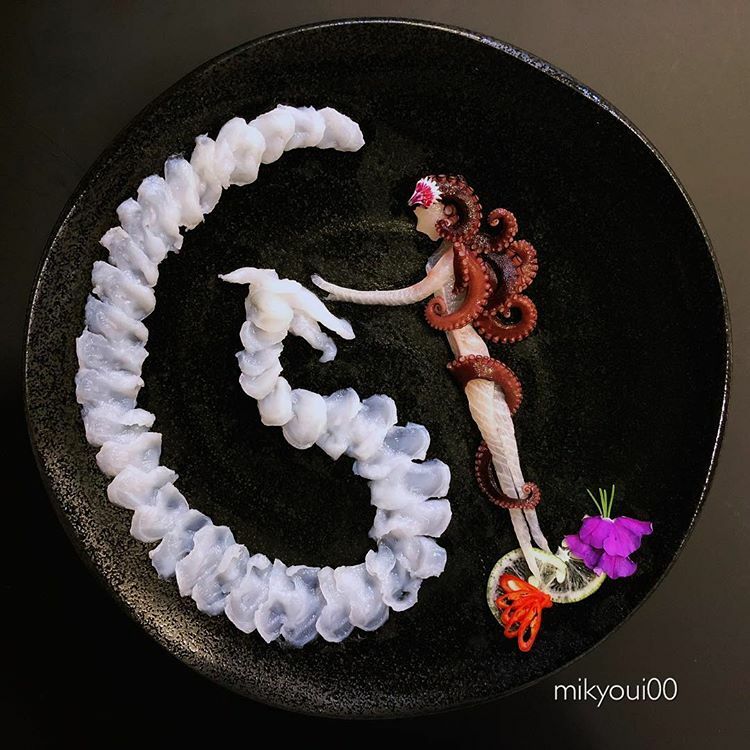 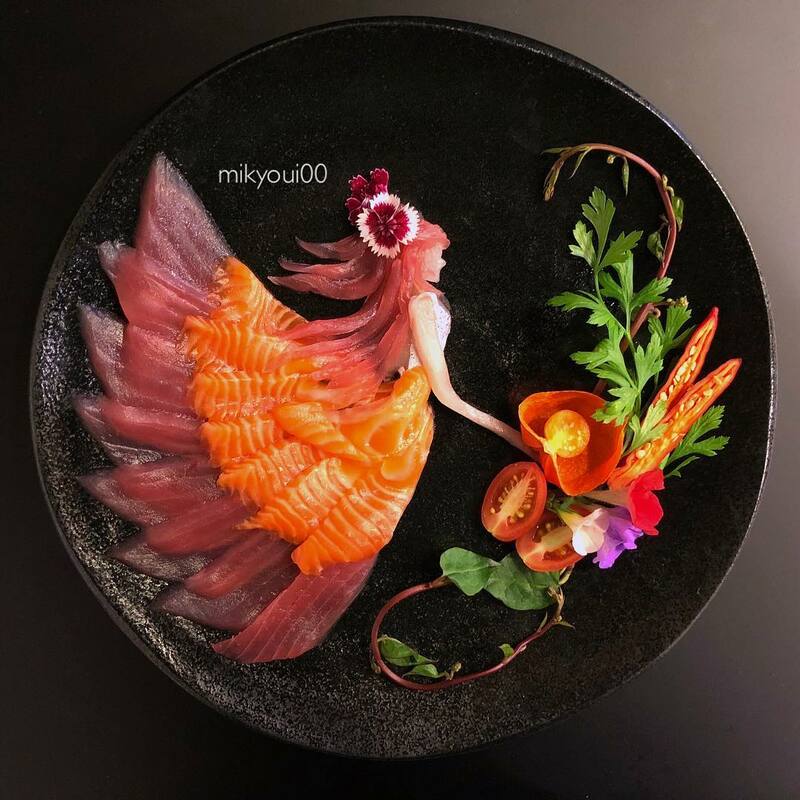 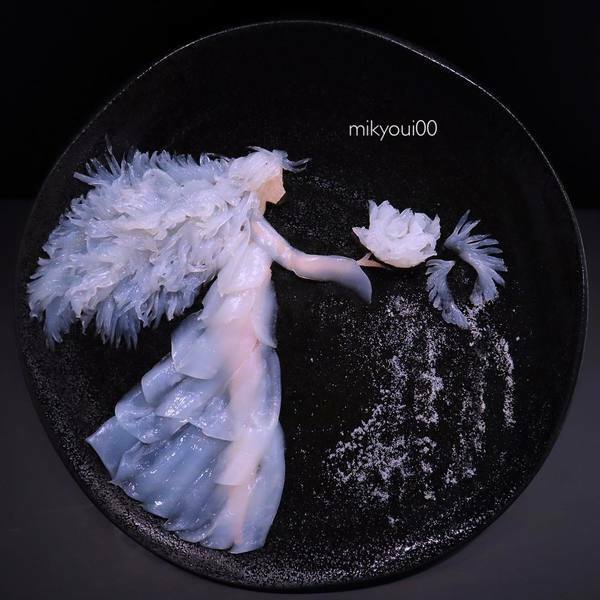 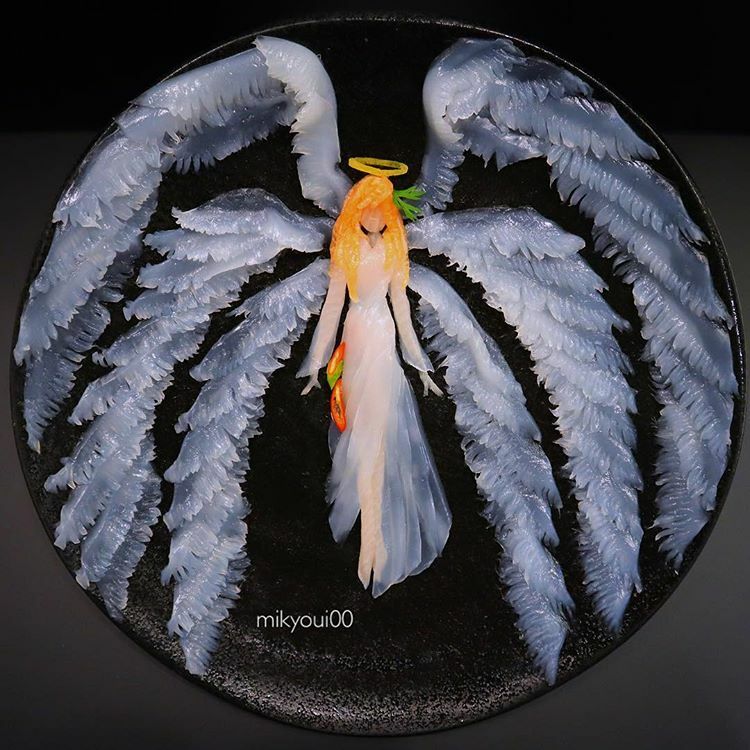 That's because, according to mikyoui00, it's easier to arrange fish into flowy, ethereal shapes like skirts and long hair.